TWIN PEAKS ARCHIVE: Exclusive Connie Woods interview! "There's a new girl at One-Eyed Jack's, freshly scented from the perfume counter. And you, brother Jer, have a 50-50 chance of being first in line." Connie Woods: I had lived on the north shore of Lake Tahoe, and then lived in Las Vegas briefly before making my way to Los Angeles. I was working as a model to support myself while I was pursuing a career as an actress. I had a few pin up posters that were distributed internationally and doing well in the market. The royalties from these posters were keeping me alive because acting jobs are/were few and far between. Twin Peaks Archive: How did you get your part in Twin Peaks? Connie Woods: The day started with make up and wardrobe and then a lot of sitting around as they got the shots set up and the lighting just right. The first day we shot it was at a ranch outside of Los Angeles. Many crews use that location. Twin Peaks Archive: How many days did you end up shooting? Take us through all the scenes you remember filming. Connie Woods: I don't remember how many days I actually filmed. Over the course of a few months I was called back to be in several different scenes with Sherilyn Fenn (she was so kind, it was wonderful to work with her - and more beautiful in person than on screen if you can believe it!). I had a good rapport with Mr. Lynch, Sherilyn, and the others on set. There was the scene when they introduced me as The New Girl and what I remember most about that scene and that day was that it was very long ( and I LOVED every second of it!!! ), it was cold, and when they were shooting my close-up Mr. Lynch wanted me to not move my eyes around so much. I thought it showed my inexperience at One-Eyed Jacks, and possibly some innocence, but Mr. Lynch didn't think it read that way on film. 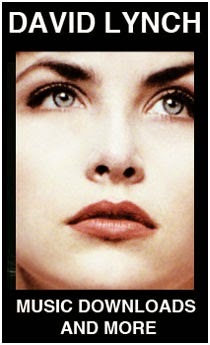 I also shot some interior scenes later at a studio in Los Angeles with Sherilyn Fenn. I was in my costume again and we were supposed to be in a different part of One-Eyed Jacks when her character was looking for answers, snooping I guess you would say. I was her sidekick. Twin Peaks Archive: Did you film any scenes that ended up on the cutting room floor? Connie Woods: We shot several times, and they were very specific about what they needed. But yes, as with each job I have had where I was certain they would NEVER edit me out, some of my scenes ended up on the editing room floor. Twin Peaks Archive: Did David Lynch film all of your scenes? What kind of director is he compared to others you have dealt with? Connie Woods: I believe he directed all of my scenes. It was a long time ago, so don't quote me on that.. What kind of director was he? He was amazing! Focused, kind, and professional. He had a vision and brought it to life perfectly. I don't recall any amount of ego what-so-ever! No yelling, no swearing. I've been around that and even been on a set when my daughter was doing a job and been around that. It's completely unnecessary. He's the best director I have ever worked with. It's funny, the more successful someone is in the business, it seems the less ego they bring to the table. He's a genius! Twin Peaks Archive: Did you keep anything from the show? Costumes, props or photos? Connie Woods: I have one polaroid from the wardrobe department, and that's it! Twin Peaks Archive: Were you ever recognized by the public near the time of broadcast from your role on Twin Peaks? Connie Woods: Yes, in some of the clubs in Los Angeles that were frequented by industry insiders. They were all aware of this project long before it aired. I would be out at a club or a cafe and different insiders would approach me to ask me about the project and of course, about David Lynch. Twin Peaks Archive: What are your thoughts on Twin Peaks after all these years? How does it feel to be involved in something that will be watched and appreciated for a long long time? Connie Woods: I loved Twin Peaks before I ever saw any of my scenes. I was so proud to be involved, but I also thought it was the best television show I had ever seen. I couldn't wait to see upcoming episodes. I LOVED it! I was devasted when they took it off the air. I know I have good taste, and I didn't think I was the only one that LOVED the show. If there is a cult-like following I completely understand it. It's very deserving. I get email now and then from Twin Peaks fans. When they recently released in onto DVD my myspace email was flooded with messages from the nicest people, huge fans of the show and David Lynch. I wonder if he completely knows how much people love him, really LOVE him. My daughter got a booking once because I was the New Girl. I walked into a casting office and as with most casting offices there are pics of actors on the walls. I was just sitting there, looking around and then noticed that most of the cast of Twin Peaks was on the wall (I first noticed Richard Beymer's picture!). I said to the casting agent "Oh, I worked with him.....I worked with him, too".. she said "We love Twin Peaks" at the same time that I was telling them that I was the New Girl at One-Eyed Jacks she was telling me the same thing... She then called my agent to book my daughter and asked for a picture to put on her wall to complete her collection. She said their goal was to work with each person from Twin Peaks. So, she cast my little girl in a film.. Excellent!!! All of us that love Twin Peaks love it with the same intensity. Others just don't get it, or us..... and you know what's funny? We just don't get them either, right? TPA thanks Connie for her time and extreme generosity in granting us this interview! Make sure and stop by her MySpace page and say hello! I appreciate Connie's point about egos. Filming is highly collaborative and a director whose ego does not get in the way can be quite an inspiration to everyone working for him. Thanks all! Connie has been so nice to us! Thanks Connie!